United are languishing off the pace in the battle to finish in the Premier League's top four after their latest setback in a difficult season. LONDON: Chris Smalling admitted on Saturday that struggling Manchester United were utterly frustrated by their failure to beat lowly Crystal Palace. After losing to arch-rivals Manchester City before the international break, Jose Mourinho's team returned to action in forgettable fashion on Saturday. "I think we knew the sort of the period we had all the way to Christmas, there were so many home games that three points had to be a must," United defender Smalling said. "So, whether it was a point or no points, it just might as well have been a loss. "I think it's just about getting that first goal and then it sort of unlocks people and it makes them become a bit more open. 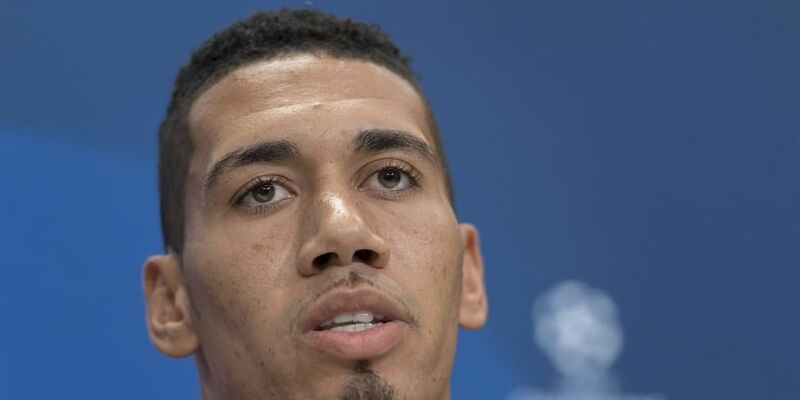 "I think when it's going against you, you don't get those decisions," Smalling said. "But we'll work hard again because we know, given this run, that we can't have any more slip-ups at home again like this. "I think we need to keep working hard as a team and creating those chances and ultimately finishing them and making sure the games that we are dominate we win." "I thought the last 10 minutes there was added intensity that we maybe needed a bit earlier in the game," Smalling told MUTV. "But we can't always leave it to the last minute and we needed to get that goal earlier. "It is good to get back out in front of this crowd again (on Tuesday) and show a better performance."